Three bags full. This clip will yield about 200 lbs of wool. Shearing day. 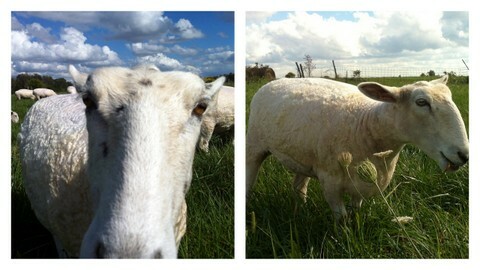 The flock started this week as fluffy, wool-laden beasts and are now sleek, shockingly white, and shiny. The sheep actually quite like shearing day. Our wonderful shearer, Matt Kennedy, sits them on their rumps and quickly shears them. 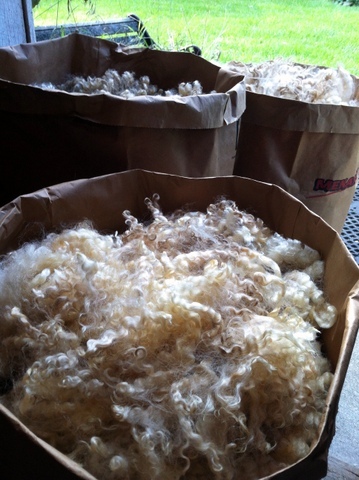 Matt then lets them roll off the shearing mat, leaving a huge pile of wool behind. My sheep usually walk themselves back to the holding pen to join the rest of the flock. What happens next is of great delight to any shepherd: they ruminate. Sheep who feel safe and contented ruminate (a more delicate term for chewing their cud). It is a blissful and meditative state. So, they spend the rest of the afternoon with sleepy, half-seeing eyes, chewing their cud and satisfying itches formerly inaccessible through their full fleece. And they sigh. A lot. What to do with all that extra wool? 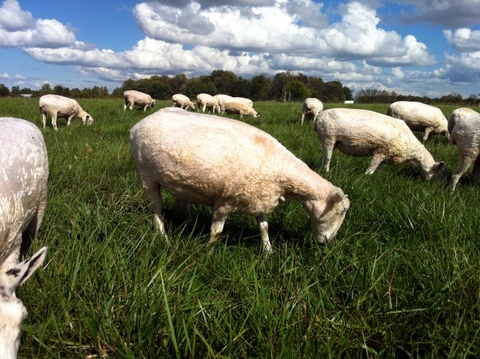 The picture of the sheep in pasture is beautiful! I assume you are going to send it off to be processed. Are you planning to sell any of it? Is it too late to get any unwashed?